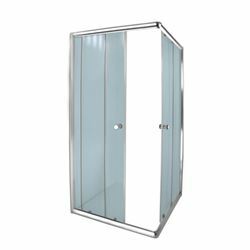 Our Klein Design frameless shower delivers an upscale modern look to your bathroom at an incredible value. 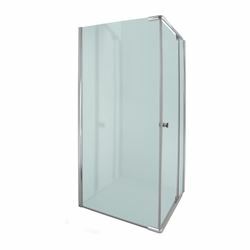 Get the look of custom glass with premium 8 mm thick tempered glass and a sleek frameless design. 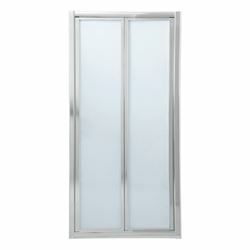 The Klein Design has solid Heavy DUTY brushed stainless steel hinges for a secure closure and no peeling in time. 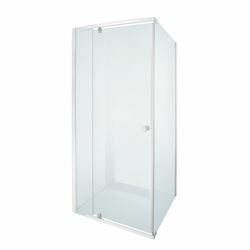 Also it includes two interior glass shelves designed with extra security, convenience and functionality in mind. 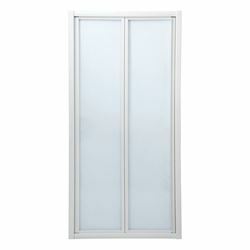 Door opening: 600 mm L., Stationary/ Side panel: 300 mm L, Return panel: 900 mm. The model is configured for REVERSIBLE for right or left door opening installation. Magnetic seals for door and clear seal strips prevent leakage and compliments completely frameless design. 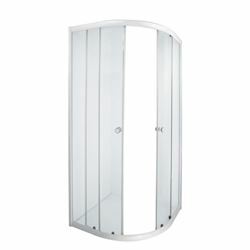 Why is our Klein Design shower superior to other models sold on the market?